You do all you can to keep your home cool during the hot Sugar Land, Texas, summers. However, you may not have realized that it’s not just about the inside of your home. 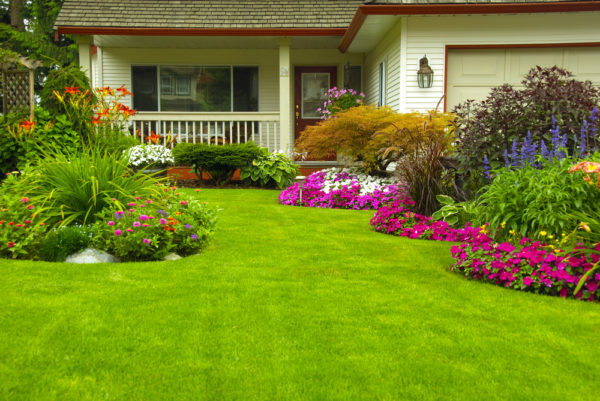 Your HVAC unit is the best defense against the heat, and your landscaping can play a big part in how efficiently your system keeps your home cool during the summer. Your air conditioner has enough work to do during the summer without having the hot sun beaming down on it. Protect your air conditioner by scheduling preventative maintenance, changing the air filters, and planting trees to shade it during the summer. Shading your air conditioner will increase its efficiency, saving you money on your utility bills and helping to its life. When you plant trees or shrubs, you add a natural cooling barrier to your home. Make sure you plant your trees and shrubs about a foot away from the outside of your home for the best results. Keep the hot sun from adding extra heat to your house during the summer by planting shade trees. Start by planting these trees to shield the west side of your home, and then your next project should be to plant shade trees on the east side of your home. These trees should grow at least ten feet taller than your window for maximum shade during the hot summer. While you should have insulation for the walls and the attic, this natural outdoor solution provides the additional barrier that will reduce heat gain and help you to save money on your energy bills. Trees reduce the amount of heat that enters your home so that you won’t need to lower the setting on your thermostat. You can also add landscaping elements such as trellises. Allowing vines or similar plants to grow on trellises can also provide shade for your home and your AC. If you would like more tips and tricks to save energy in your home, we are here to help. Call Conditioned Air today at 281-201-0356 to speak with an experienced representative.